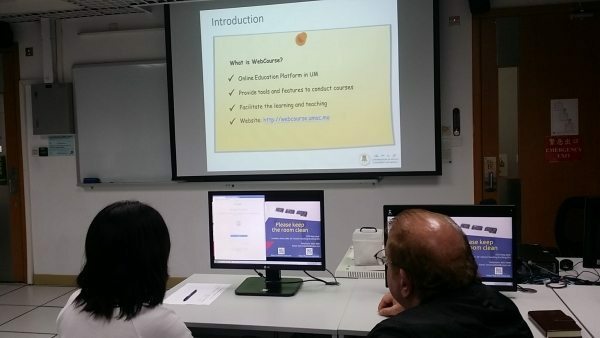 In order to let our teaching staff be more familiar with the E-learning platform – UMMoodle, ICTO had arranged two sessions of workshop in January. 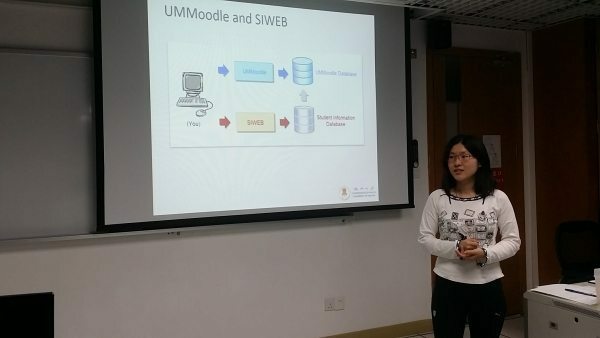 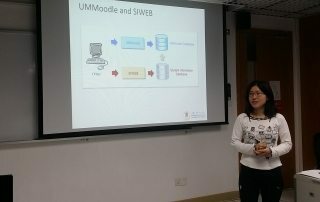 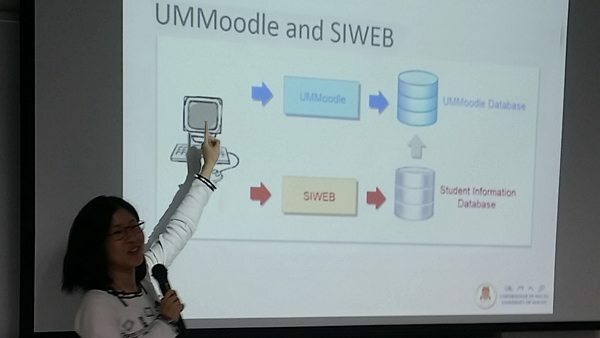 During the workshops, tutors introduced what UMMoodle is, how to upload files and put notes on it and other functions that can facilitate teaching. 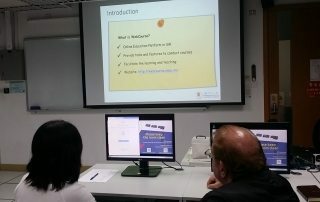 Colleagues were guided by tutors to do hands-on practices. 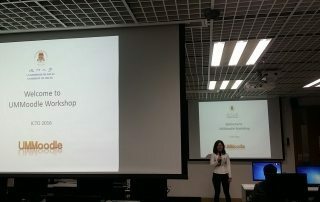 In addition, we will continue to provide various workshops to our students and colleagues. 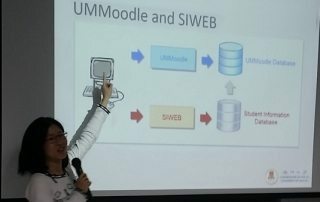 Regarding upcoming training information, please check our announcement in E-bulletin Board. 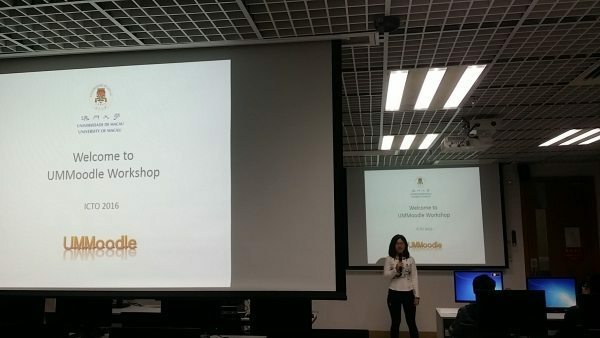 For more information about UM Moodle, please refer to FAQ http://faq.icto.umac.mo/category/ummoodle.